C*4 presents "THE DEPARTED" - Saturday March 17, 2018 - Featuring Teddy Hart! 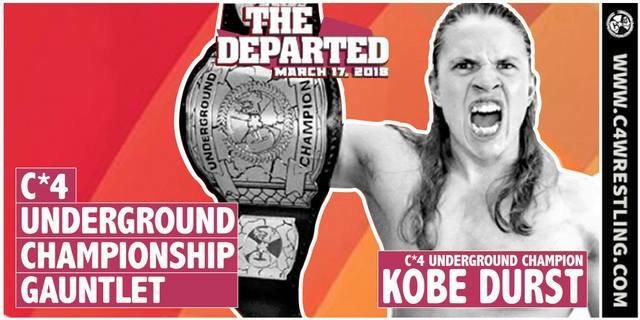 Capital City Championship Combat Fan Community > C*4 Fan Community > C*4 Discussion (Moderators: Matt Fortune, RotchyKongISW, C*4) > C*4 presents "THE DEPARTED" - Saturday March 17, 2018 - Featuring Teddy Hart! Re: C*4 presents "THE DEPARTED" - Saturday March 17, 2018 - Featuring Teddy Hart! #C4TheDeparted – First half of Double Main Event set! I Quit Match! We have little to say about this one… Mathieu St. Jacques, the former C*4 Champion will get his opportunity to face off with the man who shocked the world to end his over two year reign. “Diamond Tiger” Kobe Durst, the current C*4 Champion, and C*4 Underground Champion, has been on a streak since defeating MSJ in September. And after aligning himself with Twiggy and his attack dogs, Evil UNO and FTM, there seems to be nobody who can touch him. And on March 17th, Mathieu St. Jacques will be ready for a war, and certainly has plenty of ways to force Durst to scream those words. 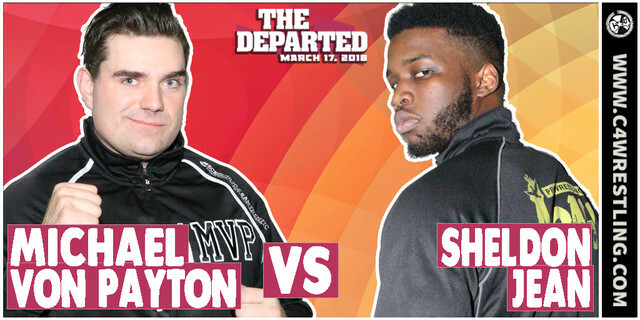 #C4TheDeparted – Huge Grudge Match set for March 17th! At Crossing the Line 10, last June, a trio of talent appeared alongside with Twiggy, laying waste to then-C*4 Champion, Mathieu St. Jacques, Thomas Dubois, and Stu Grayson… A trio of talent who have not been seen together since. On March 17th, Twiggy’s army, “The Beast King” FTM, Evil Uno, and Tyson Dux, will march into battle. And on March 17th, three of C*4’s most popular stars will look for revenge. Battle lines have been drawn… You do not want to miss this! 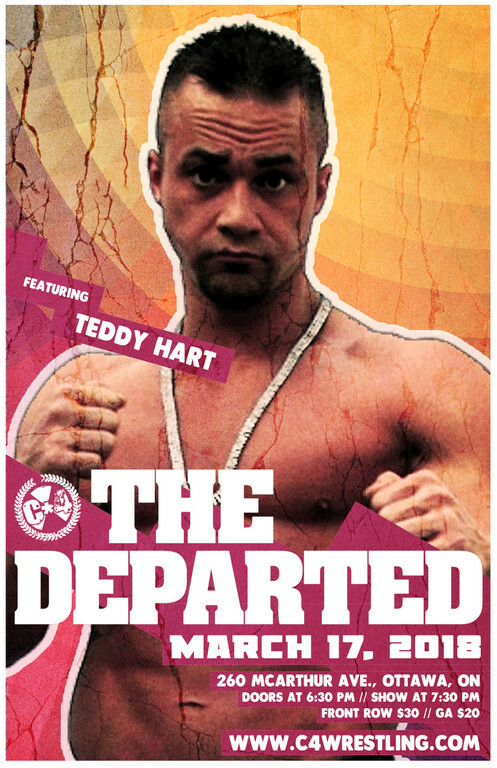 #C4TheDeparted – Teddy Hart makes his Ontario debut! We’re very pleased to be able to welcome third-generation superstar, the world-wide traveled, and innovative talent that is the one and only, Teddy Hart, to make his Ontario debut, and more importantly C*4 debut, on March 17th! Hart is known for his hard hitting, high-flying, and totally unique style. Welcoming Hart to Ottawa will be the former C*4 Champion, “Walking Weapon” Josh Alexander. Josh while perhaps not as colourful a character as Hart, is a man with a style all his own. And on March 17th, Alexander will serve as a welcoming committee to Teddy, in a match you won’t want to miss! 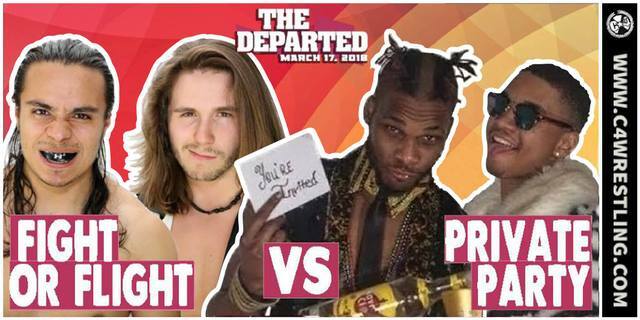 #C4TheDeparted – A first time ever match, and possible show-stealer signed! As we quickly approach March 17th, we have lots more matches to announce! Next up, we have a wild first-time ever battle between a man who has developed into a true international superstar, facing off with a Quebec talent looking to make a break-out performance. This is a match you do not want to miss! 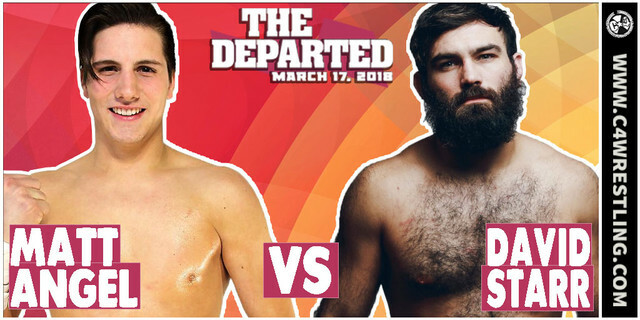 #C4TheDeparted – Another exciting match, featuring another big debut! We’re just a couple of weeks away from our next big show – and we have another match, and another debut to announce! This three-way will feature an indie stand-out making his C*4 debut. A C*4 Vet looking in his first appearance of 2018, looking to start the year off right. And finally a young man trying to make a break-through performance, and score an important win. 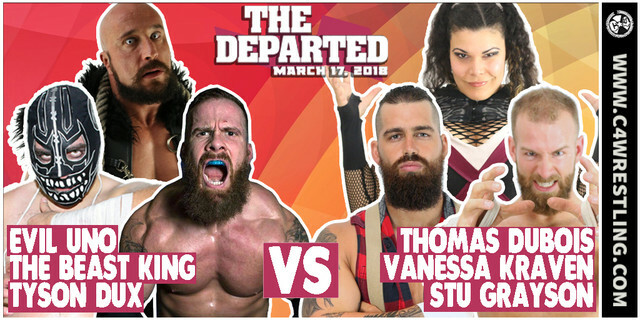 #C4TheDeparted – Exciting Debut set for March 17th! Tag Team Action signed! 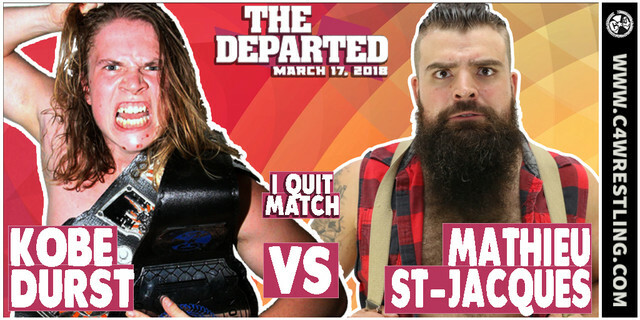 Another day closer, and another exciting match is set for #C4TheDeparted! Former C*4 Tag Team Champions, Vaughn Vertigo and Gabriel Fuerza are looking to regain their position in the tag team rankings. The pair had an open contract for this Saturday night… A contract that was quickly signed by a debuting tag team looking to make an impact in their Canadian debut! The NYC-based tandem of Isiah Kassidy & Marq Quen will bring the party to C*4 on March 17th, as the Private Party square off with Fight Or Flight! 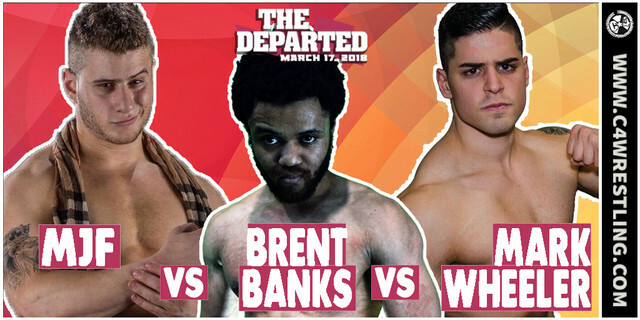 #C4TheDeparted – Full Card Set! Huge Championship Gauntlet set! Tag Team Open Contract! Big Rematch! We’re days away from one of the most STACKED C*4 shows of all time. With today’s announcement, we’re looking at totally overloaded and overstuffed in every way imaginable! First up… Already, we have announced that C*4 Champion, “Diamond Tiger” Kobe Durst will be defending said Championship against Mathieu St. Jacques in an “I Quit” match. No matter how you slice it, this will be a long night for Kobe. Well… it is about to get even longer. Durst who is also the C*4 Underground Champion, having held that title since February of last year. However, his last defence was in June 2017. C*4 Management have ordered Durst defend the Championship this Saturday night. However, he will have to make-up for lost time. If Durst wants to retain the C*4 Underground Championship on Saturday night, he must defend it against EIGHT OPPONENTS, the number of months that he has not defended the Championship in. The rules are simple… Four men will start (Durst being the first man out there). When a participant is eliminated by pin-fall or submission, another will join the fray, until one man is left standing. Can Durst survive? Will a new C*4 Underground Champion be crowned? 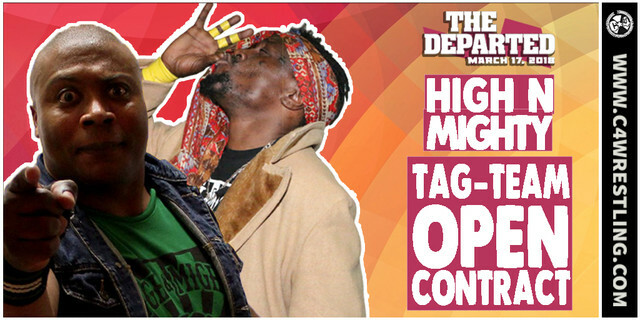 Next up, an Open Contract Tag Team Challenge… The challenge has been put out by High n’ Mighty to any team looking to party with them on St. Patrick’s day… Who will step up?! Von Payton collides with Sheldon Jean one more time! All this, plus, an announcement that will change the face of C*4 forever!